The Volvo B9TL (Bus chassis, 9-litre Transverse-mounted engine, Low floor) is a rear-engined low-floor double-decker transit bus built by Volvo Buses since 2002. It is the successor to the older Volvo B10TL “Super Olympian” and the Volvo B7TL. The bus is popular in the United Kingdom, Hong Kong and Singapore, and is currently the single most common model of transit bus in Singapore. 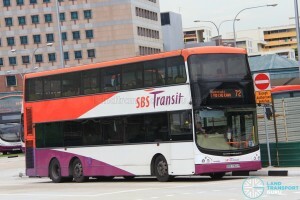 SBS Transit was previously the main operator of the Volvo B9TL in Singapore, having initiated orders and operated over 1500 units at its peak (before the BCM kicked in) as its primary double-decker bus model. In 2006, the first 200 Euro-III units were brought in (bodied locally by ComfortDelgro Engineering). In 2010, an initial batch of 150 Euro-V buses with Wright Eclipse Gemini II bodywork was brought in. Additional bulk orders were made in the subsequent years. In 2015, the Land Transport Authority ordered 176 additional Volvo B9TL buses in SBS Transit specifications for the Bus Contracting Model. This brings the grand total of Volvo B9TL buses with the Wright Eclipse Gemini II bodywork to 1606 units. In 2016, under the Bus Contracting Model, the Land Transport Authority has leased Volvo B9TL buses (built to SBS Transit specifications) to Tower Transit, Go-Ahead Singapore as well as SMRT Buses. 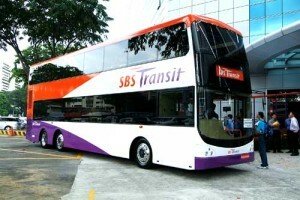 In addition, a single prototype unit bodied by Gemilang Coachworks Malaysia was delivered to SBS Transit in 2014 and registered as SBS7777Y. The Volvo B9TL was built to succeed the 2-axle Volvo B7TL and the 3-axle Volvo B10TL “Super Olympian” chassis, and was designed based on the existing Volvo B7TL. A key difference from its B7TL and B10TL predecessors is its new 9.3-liter engine originally designed by Renault Trucks. The larger engine delivers more horsepower, an advantage over the Volvo B10TL which was notorious for its poor performance on steep ascents. Another major design change over the B10TL was the relocation of the water tank from the front of the bus (near the right front wheel) to the rear, next to engine components. The B9TL was initially offered only in a 12-meter 3-axle format. 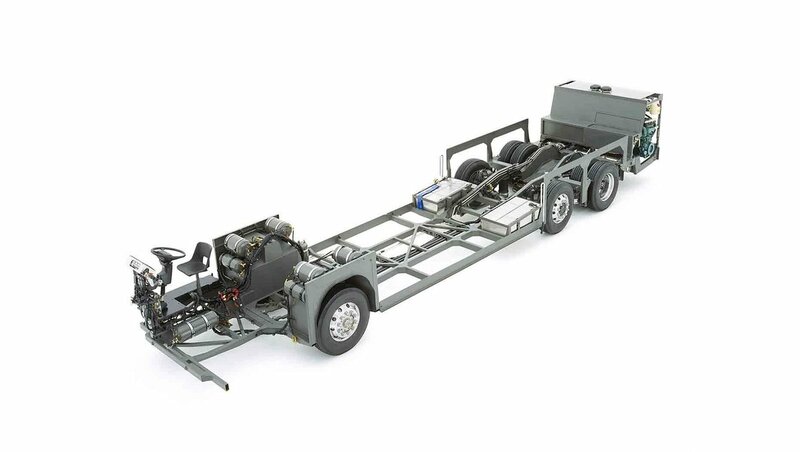 The 2-axle variant was introduced in 2006 to fully replace the B7TL, with various chassis lengths available (10.3m, 10.4m and 10.6m). The driveline comprises a Euro III-compliant Volvo D9A engine (rated at 300 or 340 horsepower), which was later replaced by the Euro V-compliant Volvo D9B engine, which relies on Selective Catalytic Reduction (SCR) technology, requiring diesel additive fluids such as AdBlue. Two versions were offered – the D9B260 rated at 260-horsepower for the 2-axle version, and a higher powered D9B310, rated at 310-horsepower, for the 3-axle version. Transmission options include a ZF 5/6-speed gearbox or a Voith 4-speed gearbox. Wheel rims are typically supplied by Alcoa. 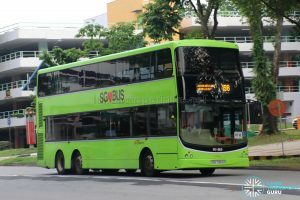 SBS Transit introduced the Volvo B9TL to Singapore with the first 200 Euro-III units entering service from 2006, bodied by ComfortDelgro Engineering (the engineering branch of SBS Transit’s parent company). Later on, Euro-V Volvo B9TL buses bodied with the Wright Eclipse Gemini II bodywork would be delivered in very large numbers and emerge as the most common bus model on Singapore roads. An initial batch of 150 entered service from late 2010, followed by additional bulk orders made in the subsequent years, bringing up to a grand total of over 1400 Wright-bodied Volvo B9TL buses. 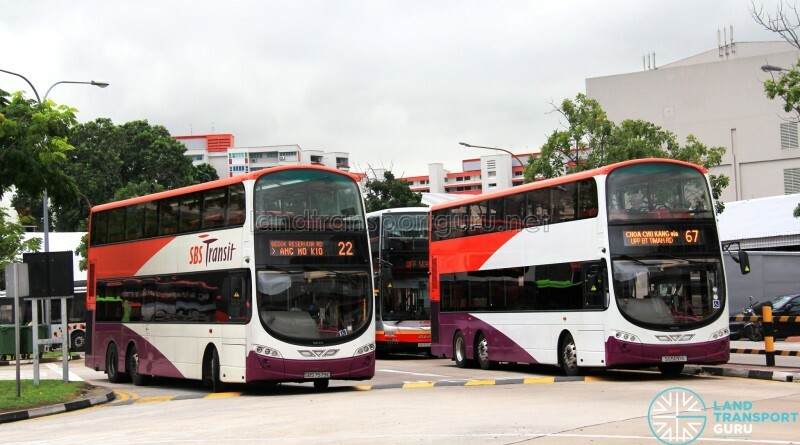 In between these orders, the Land Transport Authority (LTA) began purchasing some of these buses for the Bus Service Enhancement Programme (BSEP), although these buses continued to remain with SBS Transit. In December 2015, the LTA bought out SBS Transit’s contract for any remaining B9TL WEG2s yet to be delivered. Together with the BSEP fleet, these buses have been gradually reassigned to other bus operators as part of the Bus Contracting Model (GCM/BCM) under a lease agreement. A messy reassignment scheme is under way to transfer these buses from SBS Transit to their new operators. As a result, Tower Transit, Go-Ahead and SMRT Buses have Volvo B9TL buses in their fleet, all built to SBS Transit specifications. 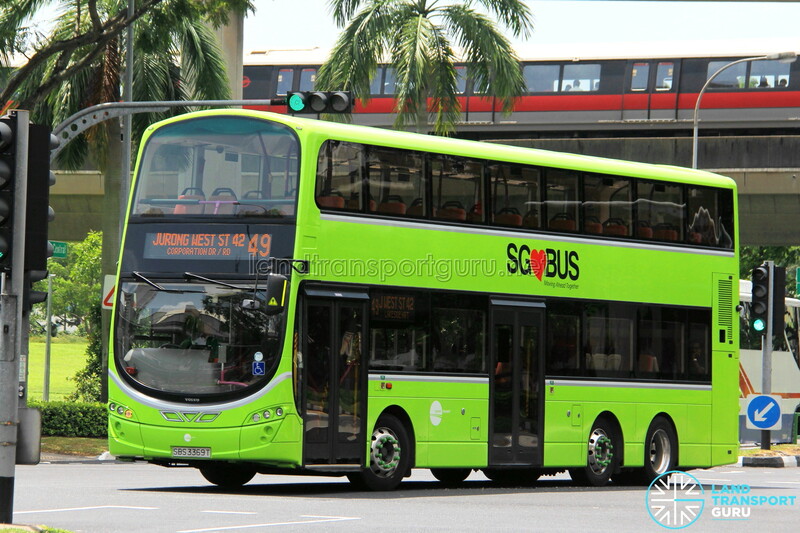 In addition, a single prototype unit bodied by Gemilang Coachworks Malaysia was delivered to SBS Transit in 2014 and registered as SBS7777Y. No further units were procured. Except for prototype units SBS7500D and SBS7777Y, all Volvo B9TLs (Euro-III and Euro-V) have been assembled in Singapore. In late 2004, SBS Transit placed orders for 150 Euro III Volvo B9TL chassis at a cost of S$71 million on 28 December 2004, with an option for 50 more units. They were bodied by ComfortDelGro Engineering (CDGE), the engineering branch of SBS Transit’s parent company ComfortDelGro. 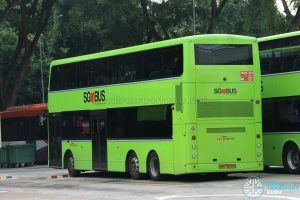 A trial bodywork had previously been tested on a Volvo B10TL (SBS9889U), developed by SBS in cooperation with PSV International. The new bodywork was ready to be refitted for use on the Volvo B9TL. On 15 February 2006, a prototype bus was unveiled, a Volvo B9TL with a zero-step entrance, a manual wheelchair ramp and other wheelchair-friendly features. As Singapore’s first Wheelchair-Accessible Bus (WAB), they were going to pave the way for more WABs and a more disabled-friendly transport system. The launch date was delayed from April to June to prepare bus stops for wheelchair boarding and alighting activities. Finally, on 27 June 2006, SBS Transit Service 21 became the first wheelchair-accessible bus service with 10 Volvo B9TL CDGEs in its fleet. 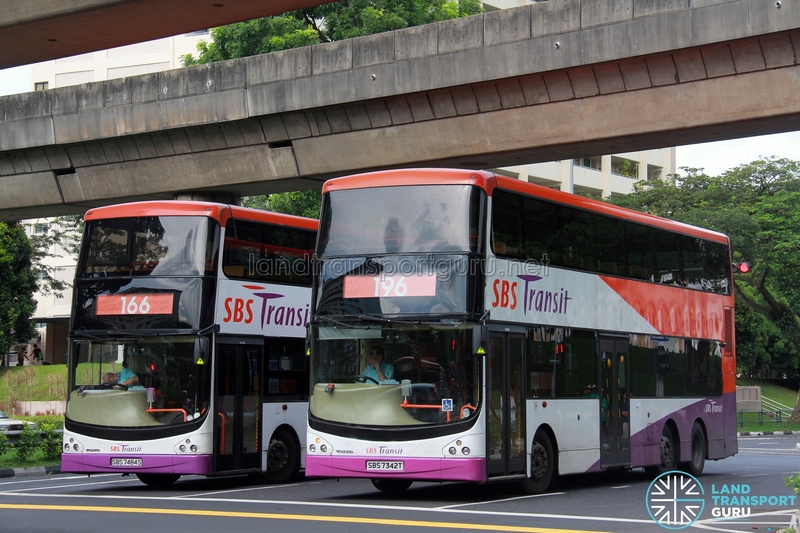 Later in 2006, SBS Transit exercised its options for an additional 50 more buses at a cost of S$29 million, soon after putting its first B9TLs into operation, bringing the total fleet size to 200. These B9TLs come with the same Euro III-compliant Volvo D9A300 engine, but a four-speed Voith gearbox instead of the six-speed ZF. All units were registered just days before the government-set deadline for Euro-IV compliant diesel engines. Volvo B9TL CDGE units were registered from SBS7300P to SBS7499A. Bodywork designed, supplied and assembled locally by ComfortDelGro Engineering (CDGE), the engineering branch of SBS Transit’s parent company ComfortDelGro Corporation. Orange LED matrix design, installed in 2011. Originally relied on plastic destination signs. Unlike most SBS (or CDGE) assembled buses which have their bodywork kits shipped in completely knocked down (CKD) form, CDGE bodied these buses themselves from the chassis up, hence these buses were fully constructed in Singapore. The Government had subsidised the cost of fitting the bus with wheelchair-friendly features, such as the manually operated wheelchair ramps. Each bus has one wheelchair bay. The Volvo B9TL CDGE has a licensed passenger capacity of 124 passengers, consisting of 53 upper deck seating, 27 lower deck seating and 44 standing passengers. An interesting feature at the upper deck is two rows of three longitudinal aisle-facing seats, located in front of the rearmost row of seats. The bus was also equipped with safety features such as throttle interlocking, which prevents the bus from moving off when doors are opened. Doors will not open above 5kmh nor close if the wheelchair ramp is still deployed. Additional blinkers on the offside of the bus make the bus more visible to oncoming traffic as it exits a bus bay. On 7 March 2010, SBS7440T from service 25 was burnt beyond repair in a fire at Ang Mo Kio Bus Depot. It was de-registered several months later, making it the first Volvo B9TL in Singapore to be de-registered. In 2011, SBS Transit replaced the traditional plastic destination plates with Electronic Display Signages (EDS) by LECIP on their Volvo B9TL CDGEs. 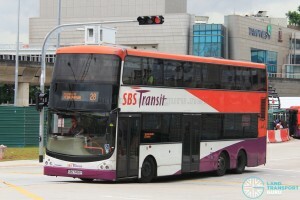 SBS7392Z was the first bus to receive it, and all other CDGE B9TLs followed suit. The upgrade consists of three sets of electronic displays, for the front, side and rear of the bus. The new LECIP EDS units had route numbers that were considerably smaller and difficult to see clearly from a distance, but eventually accepted by many commuters. SBS7321D had its ZF 6HP602 gearbox replaced with a ZF EcoLife 6AP 1410B gearbox for reasons unknown. The same make of gearbox is fitted to ZF Volvo B9TL Wrights . On 6 October 2018, SBS7368U made its revenue service debut with the Lush Green Livery. More Volvo B9TL buses are expected to be repainted in the near future. Where is the emergency stop button located?